Learn about AccountSight time and attendance software for businesses. Includes info on AccountSight, free trials, pricing, customer reviews, and FAQs. AccountSight is an online-based professional services automation (PSA) solution that offers time and attendance software. With this easy-to-use software, users can automatically attach timesheets and expense receipts to project invoices, schedule tasks, and track billable or non-billable hours. Pros: Easy to set up and operate. The UI is simple but offers robust functions. Great reporting feature. Cons: Some functions are not intuitive. The UI needs an upgrade. Bottomline: Great value! Easy to learn and implement. The UI is simple but needs an upgrade. What is AccountSight's price range? AccountSight monthly plans range from $8.00 to $10.00 per user. Is there an AccountSight free trial? Yes, AccountSight offers a 30-day free trial. To access the trial, go to accountsight.com and click 'Free Trial' in the main homepage banner. What are some AccountSight alternatives? 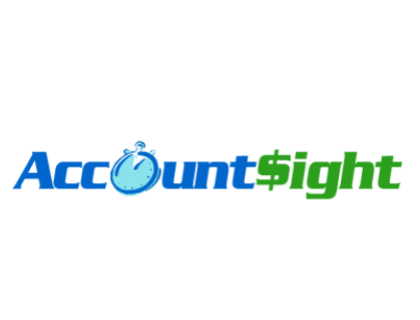 Where can I find the AccountSight login? Go to accountsight.com and click "Login" in the top right corner of the homepage, or sign in directly at https://www.accountsight.com/applogin/. Time tracking and billing software that is actually easy to use and is super affordable. Designed by consultants, for consultants.